Queen Elizabeth I was the daughter of King Henry VIII and his second wife, Anne Boleyn. She became Queen at the death of her half-sister, Mary I, on 17 November 1558, and it was a remarkable triumph for the twenty-five year old woman. Her birth on 7 September 1533 had been one of the greatest disappointments of her father's life as he had moved mountains to marry Anne in the hope of having a son. 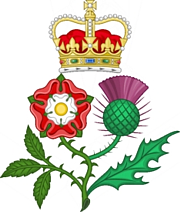 When Elizabeth was two years old, her mother was accused of adultery and executed on Tower Green (19 May 1533), and from then onwards, Elizabeth was very much an outsider. Her father took very little personal interest in her and Mary (her older half-sister) was usually distant. Mary had suffered considerably at Anne Boleyn's hand, and was never able to forget that Elizabeth was her daughter. 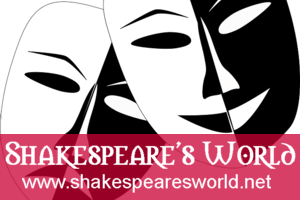 Things improved for Elizabeth when her cousin, Katherine Howard, married the King, but this happy state of affairs was not destined to last. Katherine was accused of adultery and beheaded in 1542. When Elizabeth's half-brother Edward VI (Henry's son by his third wife Jane Seymour) became King, Elizabeth only narrowly escaped execution herself because, through no fault of her own, she became embroiled in Thomas Seymour's traitorous plan to kidnap the King, and in Mary's reign, Elizabeth was even imprisoned in the Tower for suspected involvement in a Protestant rebellion against the Queen's marriage to Philip of Spain. 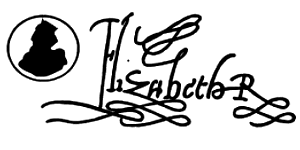 Elizabeth was a much loved monarch and known to her people as Good Queen Bess. She ruled England for almost forty five years, changing the country from a second rate power to one of the most powerful countries in the world. A conservative Protestant, she re-established the Church of England after the return to Roman Catholicism in the reign of Mary I, and successfully preserved religious peace in her country in a time when religious wars were being fought all over Europe. While her father, Henry VIII, is famous for marrying many times, Elizabeth is famous for never marrying at all. In the early years of her reign she faced immense pressure from her Privy Council and Parliament to marry, but for both personal and political reasons, she never yielded to that pressure and remained single. Elizabeth did come close to marrying twice, however. The first man she seriously contemplated marrying was her childhood friend, Robert Dudley, Earl of Leicester, and the second man was Francis, Duke of Alencon, brother to the King of France. 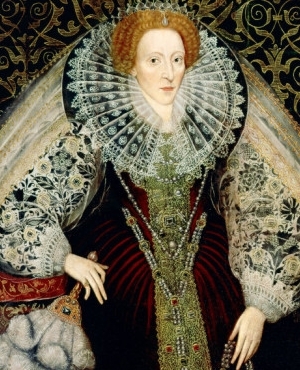 Unlike her father, Elizabeth valued her hard-working ministers, and her relationship with William Cecil, Lord Burghley, is the longest working relationship between a sovereign and first minister in English history.